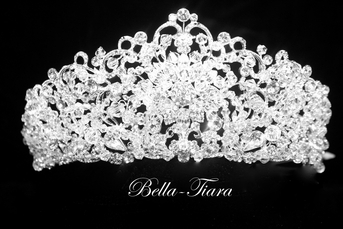 Description: just added to our Royal collection this regal breathtaking Swarovski crystal crown tiara. flat Swarovski crystals with alternative Swarovski clustered beads and center bold marquise crystals. add our stunning Swarovski crystal drop necklace with elegant 2" pierce drop earrings to finish your look.